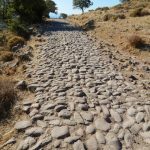 An ancient road from the time of its foundation this road connected Alexandria Troas to Assos. 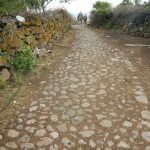 St. Paul most likely followed this path when travelling from Assos to Alexandria Troas. 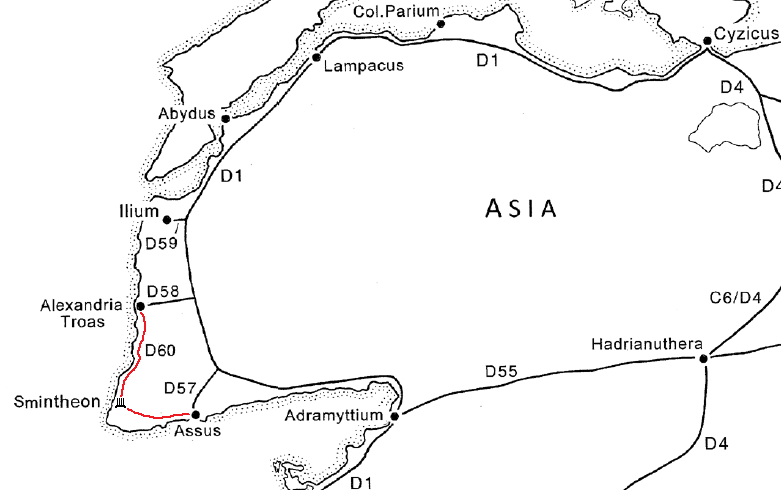 Travelers between these two cities probably took this road rather than taking R-AS-58 to R-AS-1 to R-AS-57, as suggested by David French. 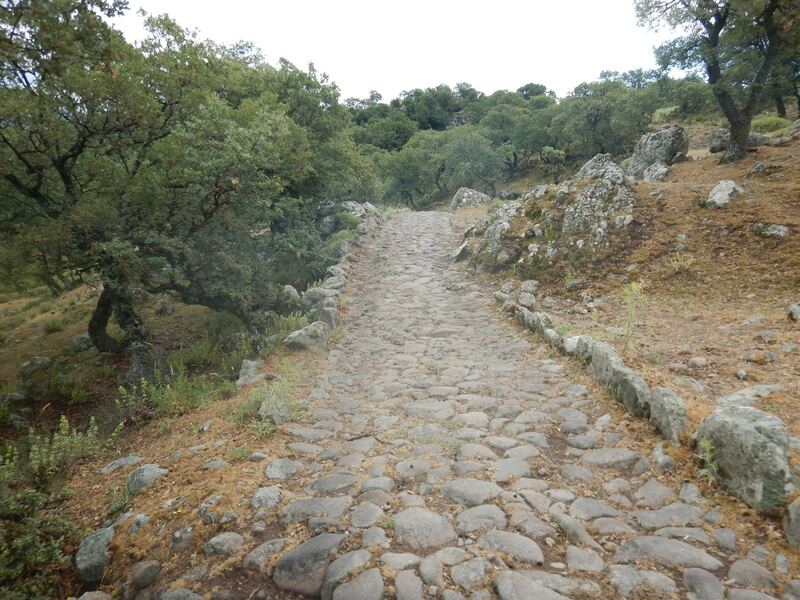 The path as suggested by David French. Our suggested path. 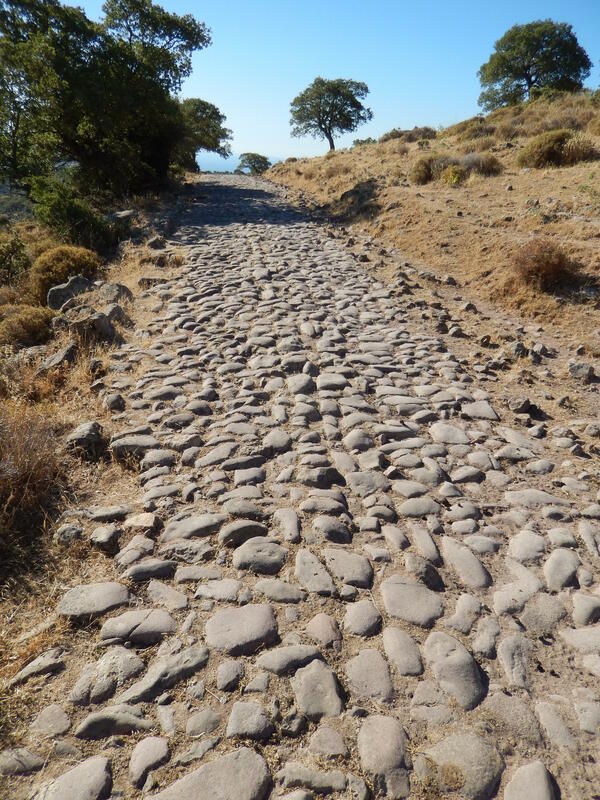 Since pilgrims and processions would take this route to sacrifice at the Temple of Apollo Smintheon, this section of the road was a Sacred Way and approximately 16 miles long. 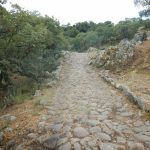 As a result it would have been several meters wide and have had dedicatory inscriptions at intervals along its length. After leaving the south gate of the city, the road ran southeast across the western end of the Halesion Plain. 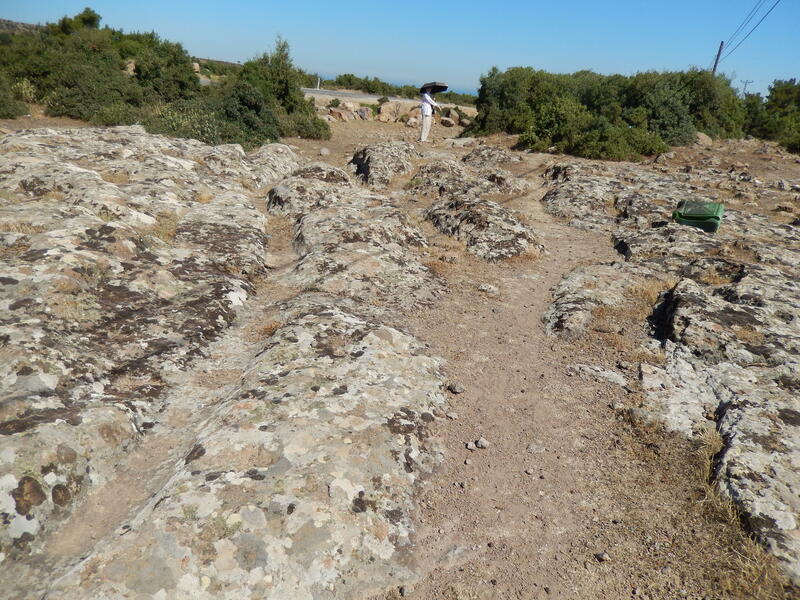 Few traces of the road bed survive, but it probably passed near the well that can still be seen alongside the modern road 3 miles SSE of the city gate. 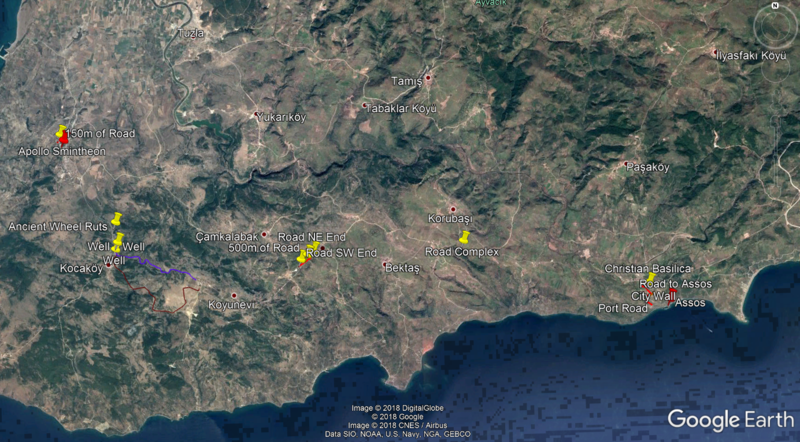 1.4 miles further south the modern road begins to follow the coastline, and no traces of the ancient road are visible for the following 3.3 miles. 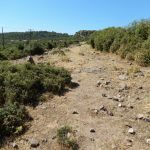 At that point the modern road veers inland again, and it is likely the ancient road continued to the southwest another 4 miles until reaching the modern course of the Tuzla River. 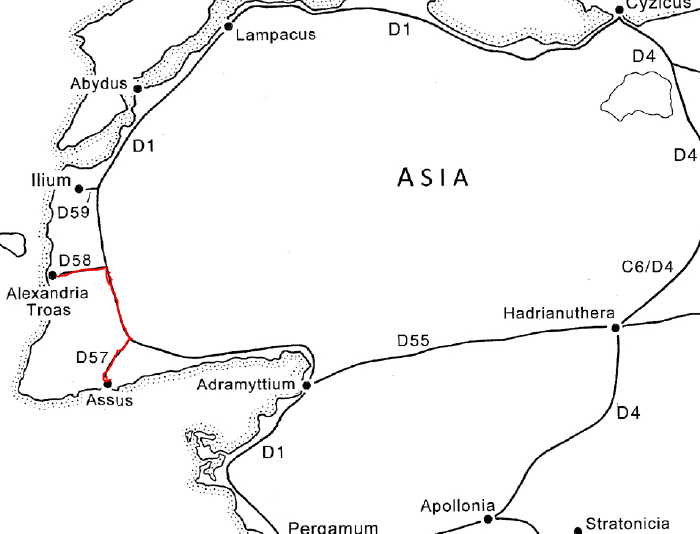 The traveler would have gone about 12 miles/19.5 kilometers from Troas when he reached the Satnioeis River (the modern Tuzla Çayi). 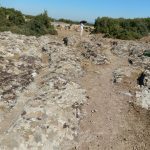 About 200 yard south of the current river, a Roman bridge some 300 feet/93 meters in length crossed the course of the ancient river and the swampy ground on both sides. 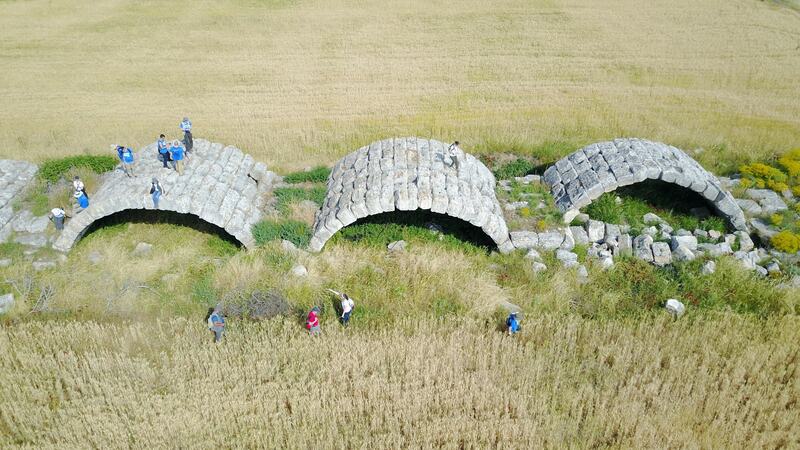 The eight of the nine original arches which are still visible now stand partially buried in the middle of a field. 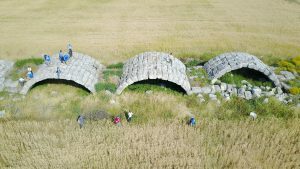 They stand about 1.4 miles/2.22 kilometers east southeast from the mouth of the river, and 2 miles/3.2 kilometers north northwest from the modern day village of Tuzla. 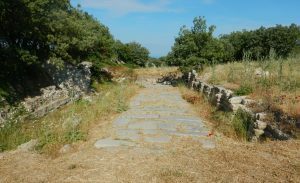 After crossing the bridge, the road continued another 3 miles/4.5 kilometers before reaching the environs of the Smintheon. 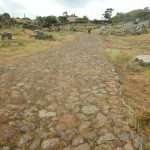 A 50-meter section of the Sacred Way was excavated in 2005-2006. 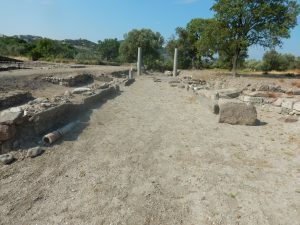 It approached the sacred precinct from the northeast, then turned southeast to approach the temple itself, probably between the two rows of statue bases that can still be seen. 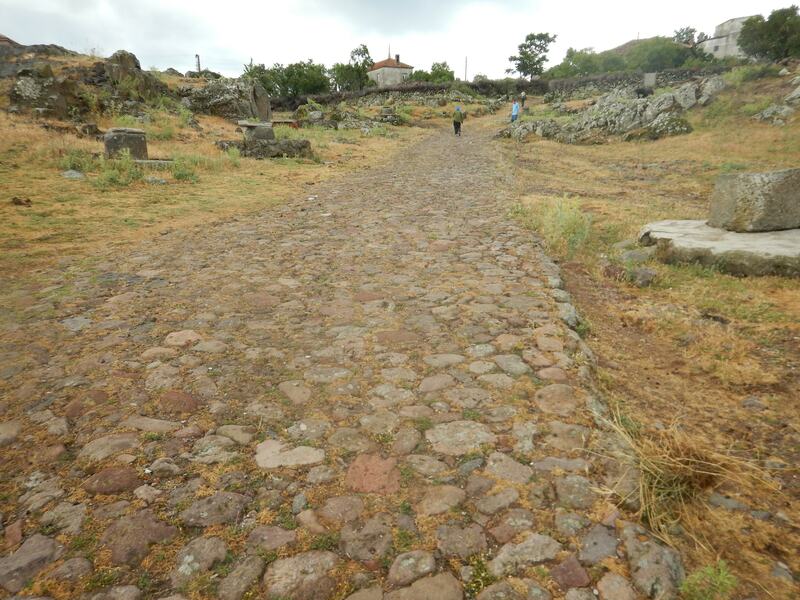 The second leg of the trip goes from Apollo Smintheon (north-west) to Assos (south-east). It starts at the temple itself and exits through the two rows of statue bases that can still be seen. 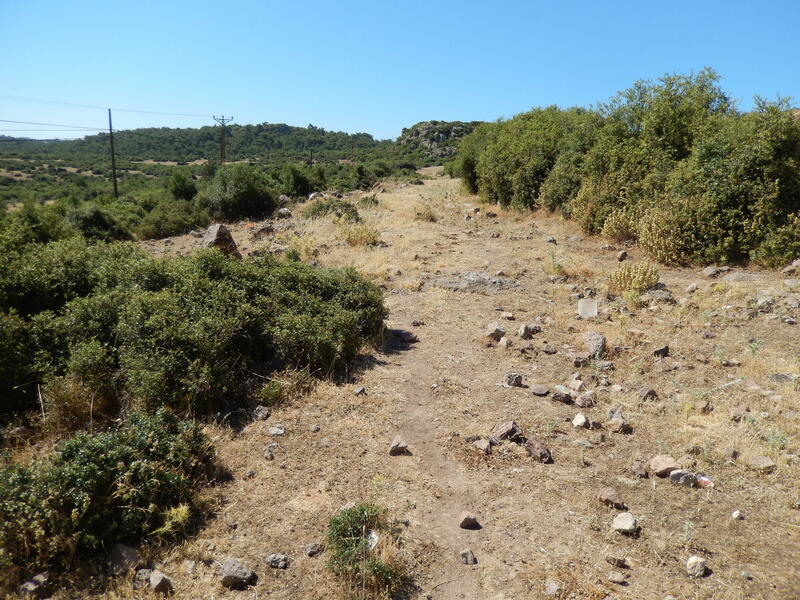 Near the modern village of Gulpinar can be found road remnants and also three wells that are clustered relatively close to one another and are still in use today by locals. 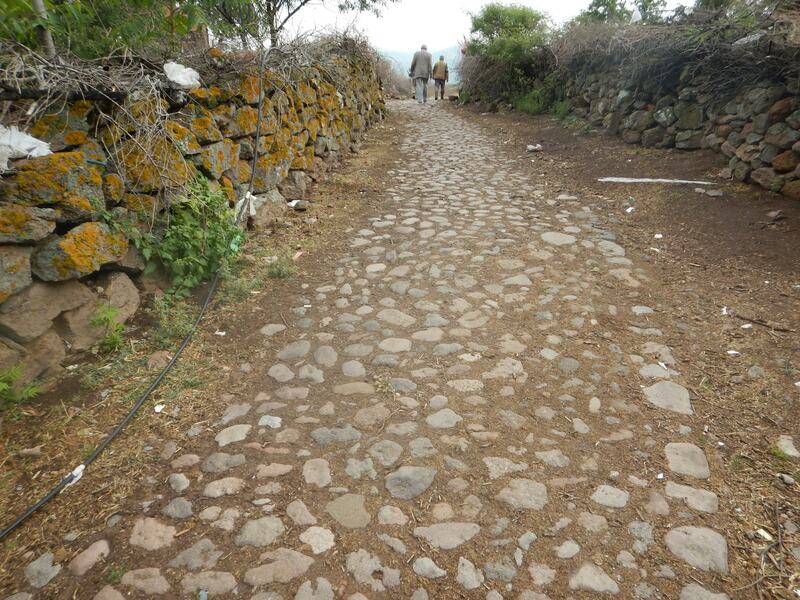 There is a well-preserved section of road around 500m in length.